Start your engines! 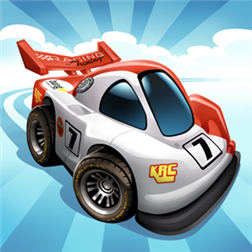 The most vibrant, super-charged and critically acclaimed racing game has finally made it’s way to Windows Phone! Mini Motor Racing plays like a favorite remote-controlled car showdown, combined with modern tech to nitro-boost your engines! Race in campaign competitions for big rewards! Upgrade your skills and cars to win more! Now over 300 races to conquer! It’s all here in Mini Motor Racing. * MASSIVE TRACK VARIETY. Race on over 30 tracks, day and night, in varying weather conditions!All this, and no assembly required! Download it below for only $0.99!